BetVictor offer a vast range of sports betting markets and if you cannot find the bet you are looking for, simply drop Betvictor a Tweet using the hashtag #PriceItUp and they will give you a price. BetVictor Free Bets Welcome Offer – Bet £5, Get £30! Sign up to BetVictor and you can get £30 worth of BetVictor free bets when you stake just £5 on any selection priced Evens (2.00) or greater. This amazing new offer does not require a BetVictor promo code. Just register in the normal way and your free bonus bets will be credited immediately upon placement of your qualifying bet. New Customers only. Deposit and place a £5 qualifying bet at odds of 2.00 or greater within 7 days of opening a new account; excludes cashed out bets. Receive 2x £10 Free Sports Bets, valid on set events only at odds 2.00 or greater, expires in 7 days, plus a £10 Casino Bonus, expires in 7 days. Wager the Casino Bonus 40x to withdraw winnings. Credit/Debit card deposits only. Geographical Restrictions and T&Cs apply 18+ Only/ Please Gamble Responsibly/BeGambleAware See Link. There are plenty of promotions which give you BetVictor free bets, indeed there is always loads going on in the BetVictor offers. Independent surveys show BetVictor’s football odds regularly trump all of their rivals and their site gives horse racing an equal amount of attention and offers unique betting opportunities on it. Although BetVictor once had a string of betting shops, and more recently a few ‘top-end’ emporium type ‘betting lounges’ they currently don’t operate any traditional shops. However, they do have experience in the field and that has clearly been put to good use, as has their 70+ years in bookmaking. Best Betting Odds Guaranteed on Horse Racing – This allows you to take an early price or board price and still get paid the starting price if that’s a bigger price at the off. Run For Your Money – BetVictor refunds all bets, in full in cash, on horses which lose all chance at the start of a race – by refusing to race or leave the stalls, plant themselves at tape-rise or unseat their jockey. There is an abundance of betting opportunities on football at Betvictor. Be sure to lookout for ‘Liverpool Specials’. Betvictor offer some great odds about the Premiership team that they sponsor. And horseracing punters can take advantage of Betvictor’s unique ‘Lengthen The Odds’ feature which enhances horses odds on the provision they win by a certain distance. For example, a length or more, two lengths or more etc. Match bets, ‘without the favourite’ and ‘faller insurance’ are other bet types you can find on Betvictor’s horseracing pages. 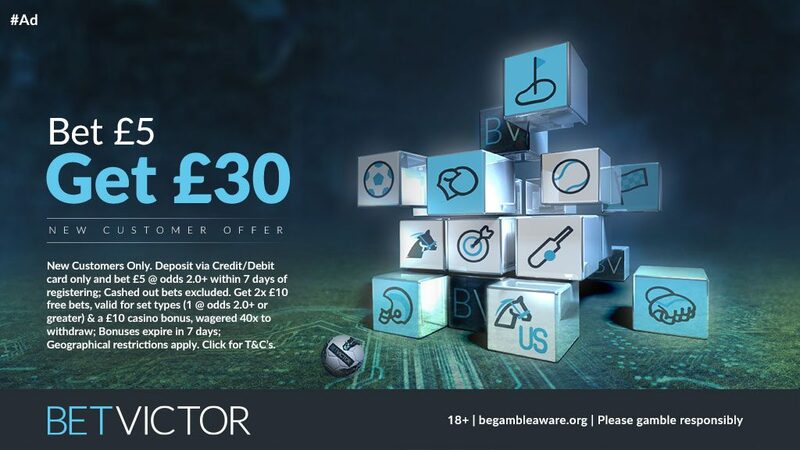 There are plenty of nice add-ons at Betvictor which mean it is far more than just a sportsbook. 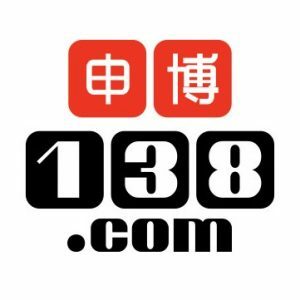 Live streaming of Horse Racing – All the live racing from the UK, Ireland, South Africa and the UAE plus afternoon and evening greyhound racing is webcast live. BetVictor’s innovative #PriceItUp betting offer – This allows you to request your own unique bet on anything from American football through to basketball, boxing, rugby union and more. Bet Calculator – Tot-up your potential winnings with this really helpful too. Results Service – Up to the second live sores and results at your fingertips at BetVictor. BetVictor Blog – A great blog section featuring guest writers like Michael Owen. It is endlessly updated and covers almost every sport Betvictor offers including Snooker, F1, Darts and Greyhound Racing. It is PC/Desktop and Mobile betting only at BetVictor – let’s face it the days of telephone betting have come and gone. Betvictor’s mobile app is a is a quality tool requiring just a simple PIN to log-in and ‘one-tap’ quickly and easily bet placement. There are three simple ways to contact Betvictor’s Customer Service team: ‘Live Chat’ is the most popular and it is open 24/7. You can also request a telephone ‘Call Back’ – which is really neat as you can schedule it for a time that suits. There is also an option to contact BetVictor via email. Skrill, Neteller, PayPal, PaySafe and Bank Transfer joint the old faithful’s of Visa and Mastercard as the deposit methods available to UK and Irish customers. It’s almost perfect! The best football odds, in-play betting, partial cash out, novel bet markets – they earn five stars all around and only a lack of live streamed sports outside of Football, Horse Racing and Greyhounds prevents us from giving it a perfect five-out-of-five. • Customers who are residents of: Belarus, Chile, Georgia, Macedonia, Mexico, Montenegro, Nepal, Nigeria, Peru, Slovenia, or Thailand. • The promoter (The Promoter) is BetVictor Limited, a company registered in Gibraltar (company number 42734) with its registered office at Suite 23, Portland House, Glacis Road, Gibraltar, GX11 1AA and trading from Suite 2:01, World Trade Center, Bayside Road, Gibraltar, GX11 1AA. • For customers betting in Euros the currency equivalent of £10 is €10. All other currencies will be calculated at current exchange rates. • Customers are able to withdraw their real cash balance at any time without it affecting the qualification, award, prize or wagering for this promotion. • Where a customer becomes restricted from placing sports bets on their account, they will still be entitled to complete any wagering required, or use any outstanding bonus funds awarded, as part of this promotion by contacting customer services. • The maximum real cash benefit that any customer will receive from any BetVictor bonuses or concessions is £25,000 per day (00:00-23:59 CET). This includes returns on wagers struck with promotional cash. • The Promoter reserves the right to remove “Bonus Funds” if we believe a customer has, or is attempting to, abuse this offer. Low risk betting, i.e. betting on red/black, evens/odds, 1-18/19-36 or covering over 20 numbers on a spin (including straight up, splits, streets, corners, baskets, six-lines, dozens, columns, red/black, evens/odds, 1-18/19-36 and section/neighbour bets) will result in the bonus and any winnings derived from it being removed. • If there is any reason to believe that there has been a breach of these terms and conditions, the Promoter may, at its sole discretion, reserve the right to exclude you from participating in the promotion. • The Promoter reserves the right to hold void, suspend, cancel or amend the promotion where it becomes necessary to do so. • These terms and conditions shall be governed by English law and the parties submit to the exclusive jurisdiction of the courts of England and Wales. • This offer is available from 00:01GMT on 01/11/2018.